The vast majority of Americans are shrugging off the prospect of canceled Saturday mail delivery, according to recent surveys. A poll released Thursday by the U.S. Postal Service and conducted by polling firm IPSOS said 80 percent of respondents between Feb. 8 and 11 supported USPS’ decision to cancel Saturday mail service. That finding echoed a CBS News poll released Tuesday that said 71 percent of respondents favored the delivery cuts. IPSOS found no statistically significant difference of opinion across urban, suburban and rural areas, or different age groups. CBS found Americans under the age 30 were the least likely to use the Postal Service, while 47 percent of those age 65 and older use it frequently. 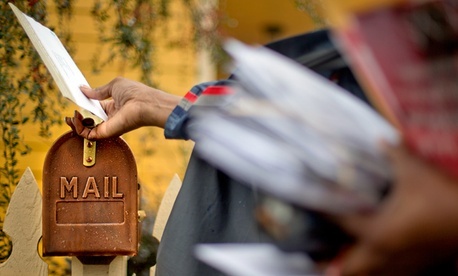 Some have worried Postal Service cuts will especially affect poor and rural residents. The CBS Poll indicated that residents earning $50,000 or less a year in household income were less likely to support the cuts, but still were broadly in favor of the move.